In Venezuela's southwest, the Canaima National Reserve in Bolivar State, is home to the Pemon people; around twenty-one thousand people, distributed along three different Caribe linguistic groups: Arekuna, Taure Pam and Kumaracoto. As with most indigenous peoples, they have been subjected to a colonization process that, regrettably, threatens to destroy their culture and society. Since the 90s, the Pemon had to confront the hardest struggles they can remember in recent history: the construction of a power grid that crosses their territory, bringing profit to mining corporations; the imminent construction of a hotel complex on their lands by the Turisur corporation; and the soon to be aproved decree that would allow mining and logging the Imataca mountain range, an unique natural reserve, and home to this people. 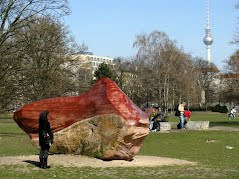 On top of all that, a new conflict arose that threatens their worldview and cultural identity: the removal of their sacred stone Kueka ("Grandmother") by German "artist" Wolfang von Schwarzenfeld.- Kueka, sacred stoneAccording to legend, Kueka was a young Pemon, of the Taure Pam community, who went looking for the fairest girl of the Macuxi community, breaking the rules dictated by Makunaima, jealous god and strict Pemon, who said that the Pemon only could marry other Pemon, and the Macuxi only could marry other Macuxi. After their marriage, they fled, but Makunaima went after them, found them and told them: "Awarokuruu ...Amoro aukowamumo Chokroro tatapiche anapo daro..." (I curse thee, that you shall spend eternity embracing your wife). 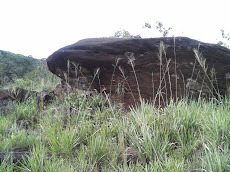 Makunaima blew this prayer into the wind, and Kueka and his wife turned into stone. 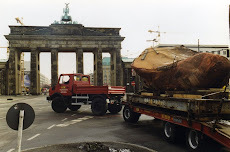 Today, that stone is the grandfather and grandmother of the Pemon people, who denounced its hijacking since 1998.- Extraction, violations, and consequencesIn 1998, the "artistic creator" von Schwarzenfeld flies to Venezuela to select two stones as part of a sculpture devoted to Peace, called Global Stone . 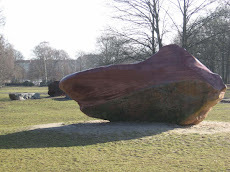 The then president of INPARQUES (government agency responsible for national parks), Hector Hernandez Mujica, and the Business representative of the German embassy, Hans Peter Pliscka, signed an agreement to donate a jasper stone to the german people. 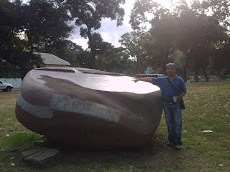 Such stone was the one named Kueka.This donation went against several regulations that protected the Canaima National Reserve, considered to belong to all humanity due to the presence of Tepuis (unique geological wonders) and the Churum Meru (the highest waterfall in the world). The Decree number 1640, made at July 5, 1991: the Regulations Plan for the use of the Eastern sector of the Canaima National Reserve, forbids to extract any resource that could harm the ecosystems or insult the culture and beliefs of the aboriginal population (articles 3, 4, 9 and 15). Also, Hernandez ignored the Pemon people's own rules, making the donation all by himself, and allowing its extraction and transportation without asking the natives. 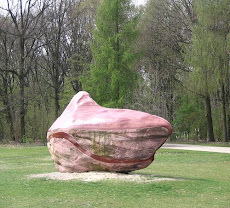 What's more, von Schwarzenfeld (though knowing the grievances of the Pemon people, and having seen the petition for him not to take the stone to Germany) ignored their demands, taking mischievously the stone away from the place where the natives kept it so that it wouldn't be taken away from their territory, much less away from the country. 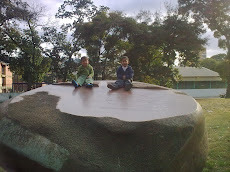 This person claims that the rock is made of sandstone, so it's not sacred, but for the Pemon people, Kueka is trapped inside this 30-ton, 12-cubic meters stone.According to the Pemon cosmogony, this means a great disaster, as expressed in the statement of the Pemon, Melchor Flores: "Because of this, we in the Gran Sabana are suffering much; the weather has gotten out of hand, so many people are getting sick, because, as our old folks say, Kueka is a mother for all of us. 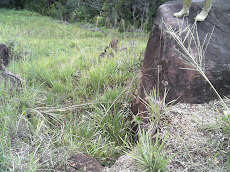 We know that she is our mother, so we are in a critical situation there in the Gran Sabana: diseases, climate change, weather change, we never know when is gonna rain, when is gonna be sunny, because it's gotten out of control".The Pemon people are still demanding the return of their grandmother to its original place, since this is the only way to heal the cultural agression they have suffered. The German government and von Schwarzenfeld must not continue disrespecting them, they must be made accountable. It's hypocritical to rob and look down upon indigenous peoples in the name of Global Peace, with the Venezuelan State looking the other way. We call on to everyone to accompany them in their struggle, so that Kueka returns with their grandchildren.